For the past four months we've had a date in late November circled in red on our calendars. No, it wasn't the Fred Meyer Black Friday Sock Sale. We had that day circled in blue. 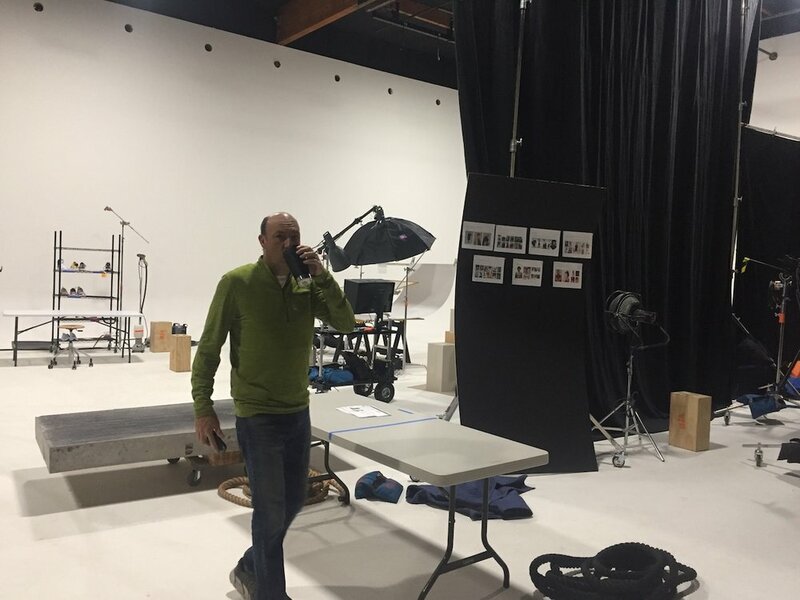 It was the day Nike was scheduled for a two-week-long photoshoot at our new facility. The one we didn't quite have finished. 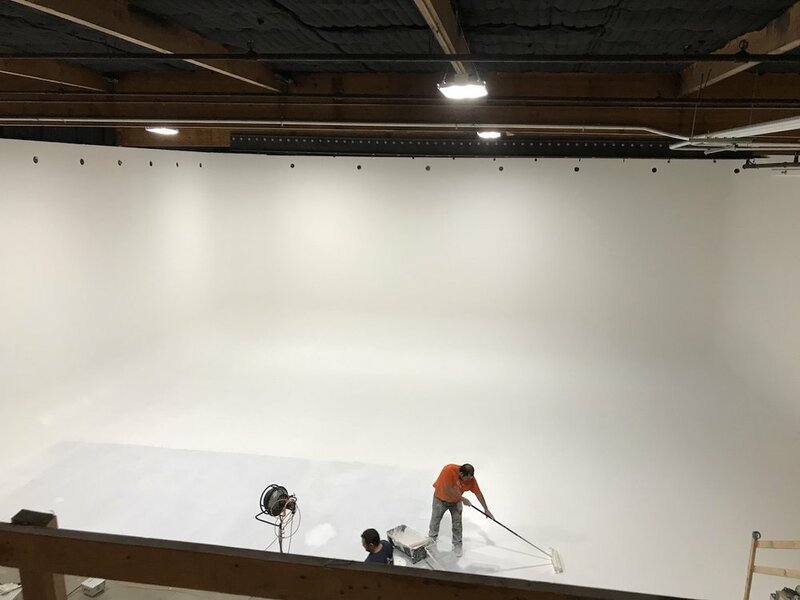 Week after week, with sawdust flying and exposed wires sticking out everywhere, we'd worked like crazy to put together the new production space for Nike to shoot in. We have to admit, there were many times when some construction delay or permitting hiccup caused us to wonder if we had the slightest chance of making the deadline. Obviously, we did make it or we wouldn't be telling YOU about it. But a little drama spices things up, don't you think? What was cool about the Nike shoot, besides the fact that it was for the world's most valuable apparel brand, was that we simply couldn't have done it at the old facility. At one point we had more than 50 people here, shooting on three different sets. One of which was the lunchroom because its distinctive barn wood wall makes such a great background. Nike was doing photography for next year's winter lines. We are of course sworn to secrecy. But we won't be surprised if 2019 is the year that figure skates show up outside the rink as a casual shoe. Things are continuing to go great guns as we put the final touches on things like the lighting grid and our office furniture. And we are looking forward to hosting many more clients doing great work.